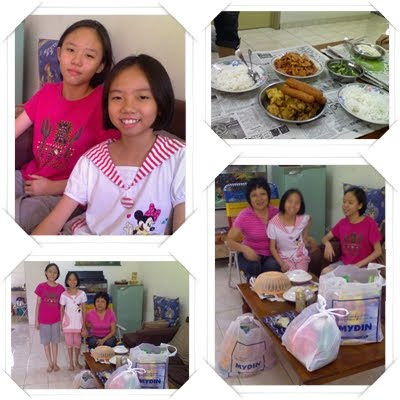 19 Jan 2011 OC Katherine delivered groceries to Chong sisers and Aunt of Chong sisters graciously invited me to join them for a simple dinner at their home. They expressed thanks and gratitude and were very happy to receive our groceries and and RM200 ang pow, timely for the forthcoming Chinese New Year. 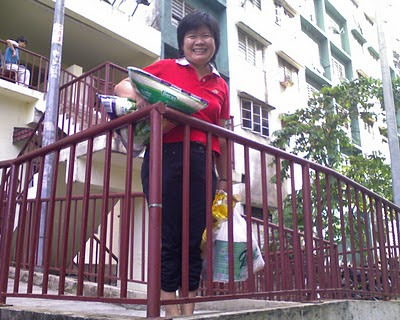 20 Jan 2011 at 4 pm, OC Katherine delivered RM100 groceries to Mdm Lu Pui Lin & Choong Brothers. Unable to make home presentation due to parking constraint. 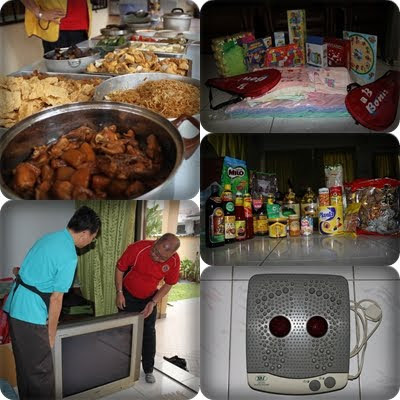 Nevertheless she was very appreciative of our groceries donation and RM200 ang pow. At 5 pm met up with Mdm Gan Ah Leong at a coffeeshop nearby Connaught to hand over 2 sets secondary school uniform worth RM90 & school bag for her daughter. 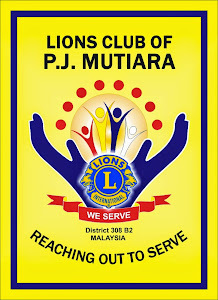 Club sponsor groceries worth RM100 and ang pow of RM200. She explained having a challenging time coping with both her children. 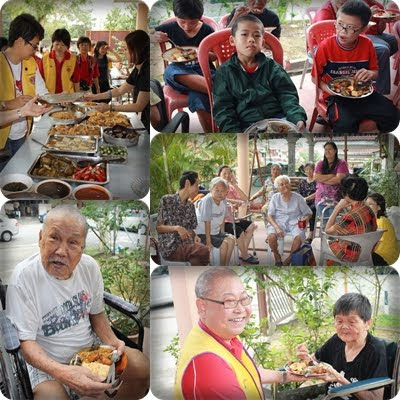 Sunday 16 Jan 2011 Luncheon organised for 21 inmates of Rumah Love & Care, Kajang and 12 children from Kaizen Children's Home, Semenyih was attended by President Lynda, OC Jessie, Nelson, Yvonne, Chwee Chin, Peggy, Irene, Katherine & Poh Ling with guests included Jamie Low, Lion Eric Foong of PJ Metro, Rachael Foong, Lois Lui, Irene Chow, Roland Ong, Charmiane Ong & Harold Ong. Thanks to our generous cash sponsors who made this event possible namely Mdm Jane Wong RM1K, Ms Wong Yoon Tze RM1K, Mdm Irene Chow 33 pkt ang pow, Mdm Koh Ngat Hoon RM200 and Mdm. Cindy Tan RM200. 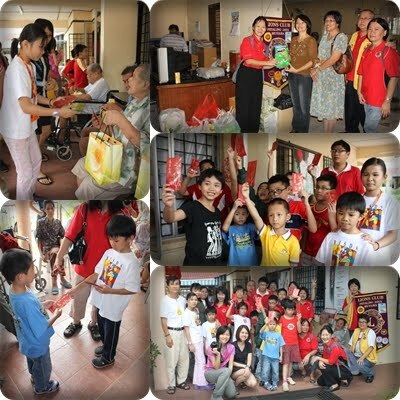 Amount collected was utilized for purchasing 200 pcs Yong Tau Foo for lunch, groceries worth RM500, children educational toys worth RM200, personal bathing towels, face towels & toothbrushes worth RM300 and 3 ctns Adult Diapers costing RM462. Vote of thanks to Mr. Robin Chang for donating a used 34" Samsung TV & Mr. Charlie Foong a used 21" Philips TV as their TV was recently strike by lightning. 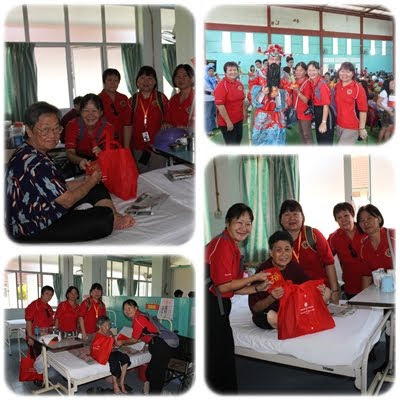 Thanks to Ln Poh Ling's sister- in-law, Mdm Low and Mdm Cheong for cooking the yummy stewed chicken with potatoes and fried mee hoon, Lion Chwee Chin for donating a foot reflexology, Lion Peggy for a few soft toys and Ms Wong for a carton of Diabetic Tea. 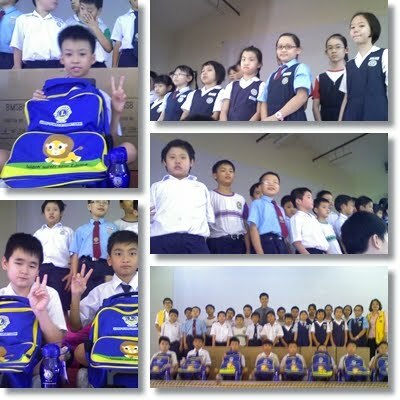 Delivery of 30 units school bags to SRJK [C] Tai Thung, Salak South, Kuala Lumpur on 11 Jan and 29 units to SRJK [C] Kwong Hon, Sg. Besi, Kuala Lumpur on 12 Jan. One bag is reserved for Mdm. Gan A Leong's daughter from SRK[C] Confusion school. Thanks to Lion Nelson & Lion Irene for their assistance on the delivery while OC Katherine co-ordinated with both school principals. SRJK [C] Kwong Hon Vice Principal Puan Soo proposed that in future, we should consider supporting the child school bus fee instead, as it has escalated from RM80 to RM150 per month. 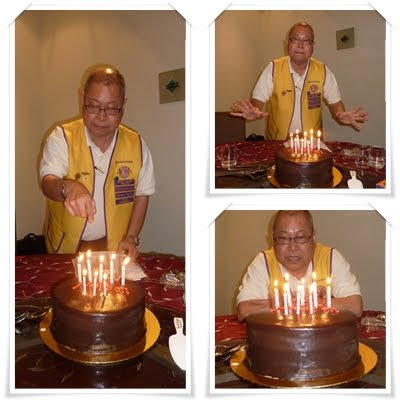 7/1/11 Advance celebration of PP Lion Nelson's Birthday [actual 13 Jan] at our 13th Business Meeting with his favourite, extremely addictive Banana Chocolate Cake from Secret Recipe.